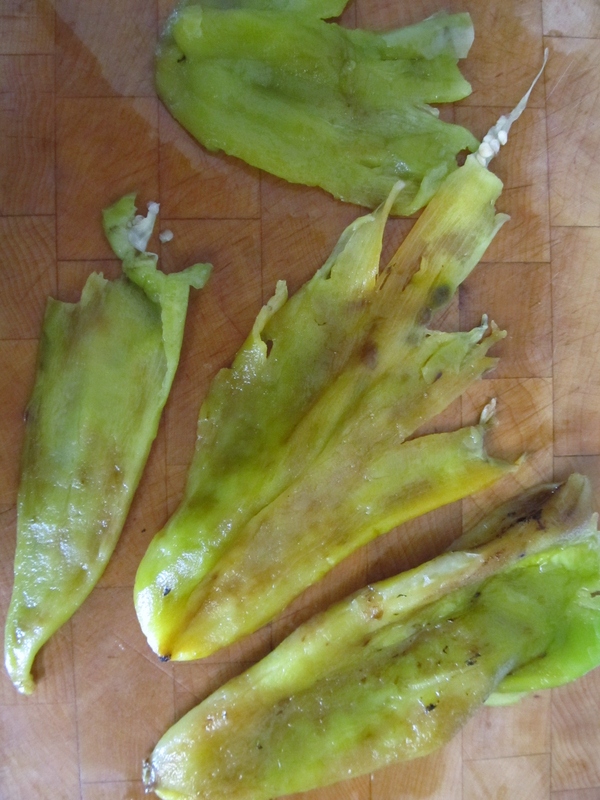 Hatch green chiles | Cooking Ripe! Cooking Ripe! was launched in late August of 2012 and has had just under 3000 views so far. It’s been very exciting to get to share my garden-to-table recipes with so many people in such a short time. I’ve been learning a lot about this whole food blogging business and I am ready to take things to next level! Coming in 2013: Cooking Ripe! will be moving to a new hosting site where we’ll have our very own domain name: CookingRipe.com. YAY! Our very own dot com address. Legit, right? With this change, you’ll notice that the blog will undergo some spiffing up and will get a new overall look. I hope to make it a little more user friendly by adding some slick tools that will make things like recipe printing and pinning a little easier. We’ll likely have a little downtime while we complete the migration process, but don’t worry – I’ll give you plenty of warning when it’s time. 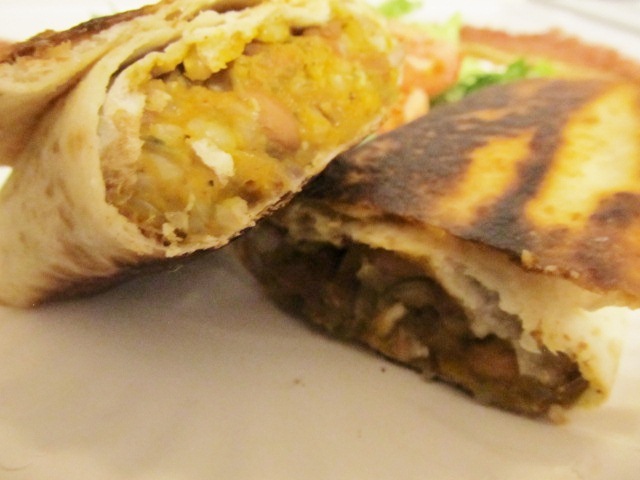 Stay tuned for more details on the New & Improved Cooking Ripe! Tops in 2012: In our few short months online, I’ve had great traffic and feedback on the blog posts. 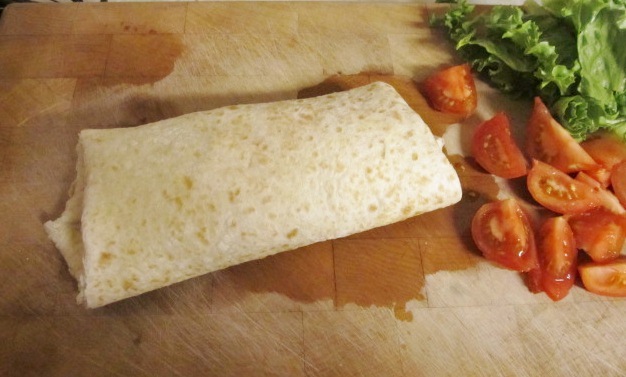 Below is a list of the five most viewed posts on Cooking Ripe! in 2012. Have you tried all of these yet? If not, you better get cookin! 1. 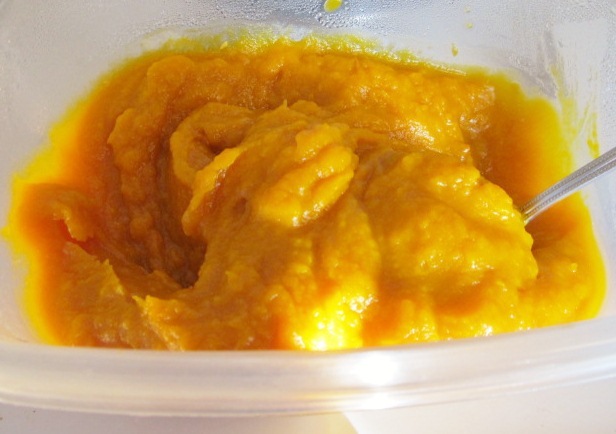 The number 1 most viewed post on the blog is Homemade Pumpkin Puree. 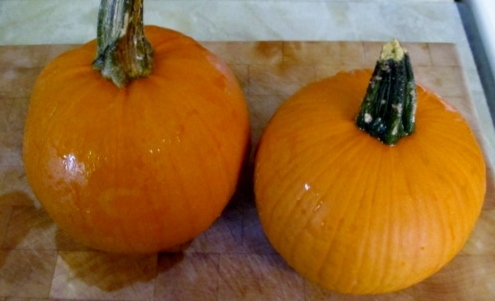 I had a whole crop of volunteer pie pumpkins in the garden this year, so I had to learn to make my own puree. I’ll never go back to canned! It tastes so fresh and it’s so versatile. Try the many other Cooking Ripe! pumpkin recipes, too. 2. The runner-up as the most viewed post is the Carrot and Sweet Potato Soup. I LOVE soup and LOVE orange food, and apparently my readers share my love of soup and orange since it was the second most popular post. This is a simple and creamy cold weather soup with a little ginger kick. Check out the other Cooking Ripe! 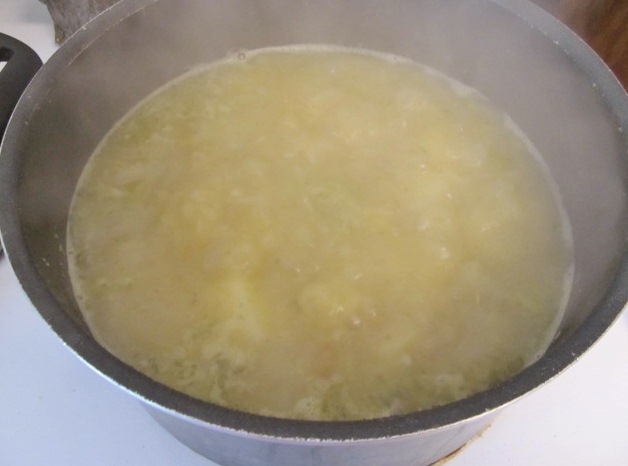 soup lover recipes. 3. Number 3 is my personal favorite, as you can tell by its title: Roasted Eggplant and Tomato Pasta – the BEST pasta you’ll ever eat! Really. 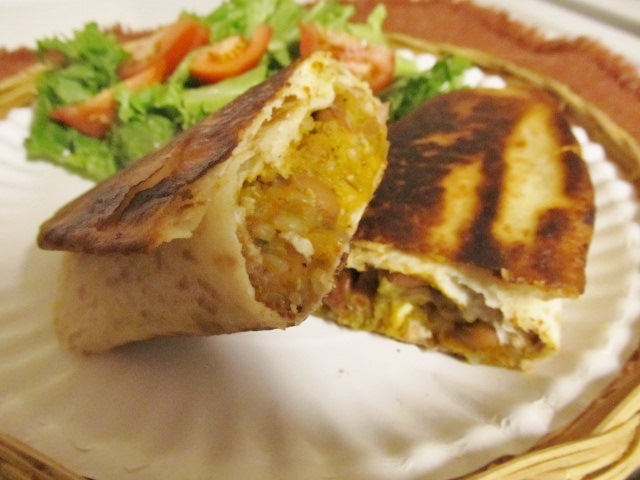 You have to try this recipe if you haven’t yet. 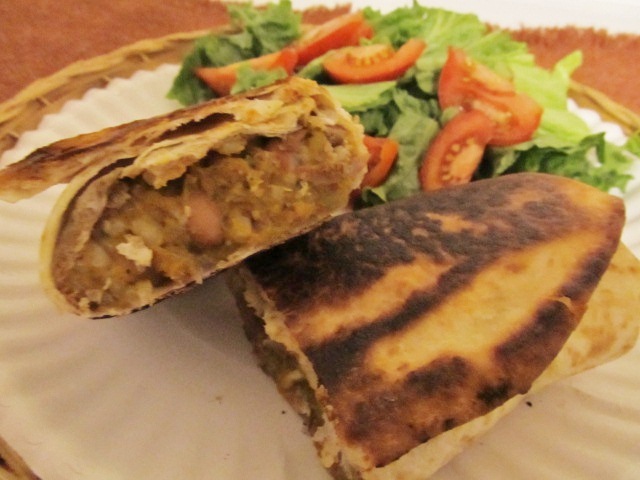 I got an eggplant in my Bountiful Basket last time and I am thrilled to get to make this recipe again this week. The Hubs doesn’t even mind repeats of this one! 4. One would assume this next post would have been number 1 since it includes BACON! and everything is better with bacon, right? Caramelized Brussels Sprouts – with BACON! I try not to cook or eat it very often, but once in awhile you gotta live, right? Brussels sprout lovers and haters can unite to love this recipe, I promise! 5. 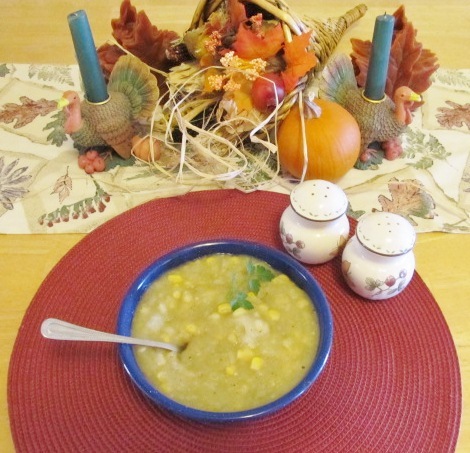 Last, but certainly not least in the round-up of most viewed posts is the Southwestern Green Chile and Corn Potato Chowder. 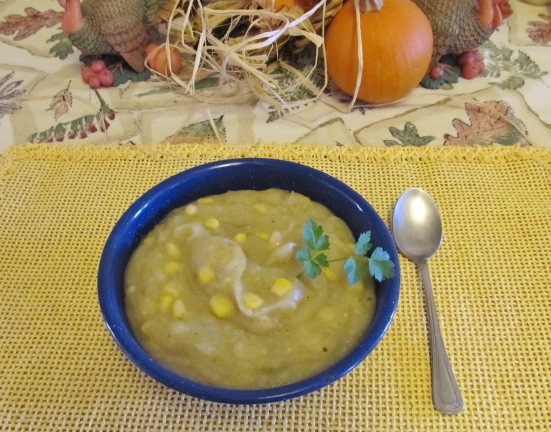 Yes, another soup made the list! This one is creamy and spicy without any heavy cream at all. This is a great recipe to use up your preserved roasted green chiles and warm up on a cool night. Remember, you can go to Cooking Ripe’s Recipe Index for a complete list of all of the recipes. Also, if you haven’t joined me on Pinterest yet, it’s high time! 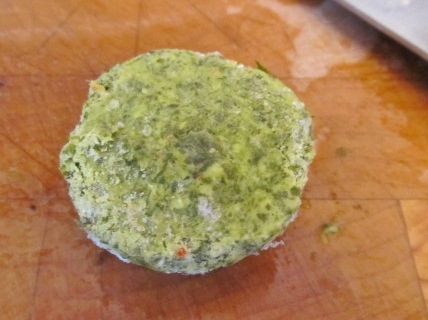 And, finally – like Cooking Ripe! on Facebook to stay up to date on all blog updates and other tasty tidbits. Stay tuned for a great new year of growing and cooking! Thank you all for your support. Cheers to a delectable 2013! Categories: Cooking, Vegetarian, Veggies | Tags: Bountiful Baskets, Brussels sprouts, carrots, Cooking, corn, easy, food, Fresh, Harvest, Hatch green chiles, healthy, homemade, low-carb, low-fat, nutrition, pasta, pumpkins, recipes, simple, soup, tomatoes, vegetables, Vegetarian | Permalink. Today was a busy food prep and preservation day here at the casa. 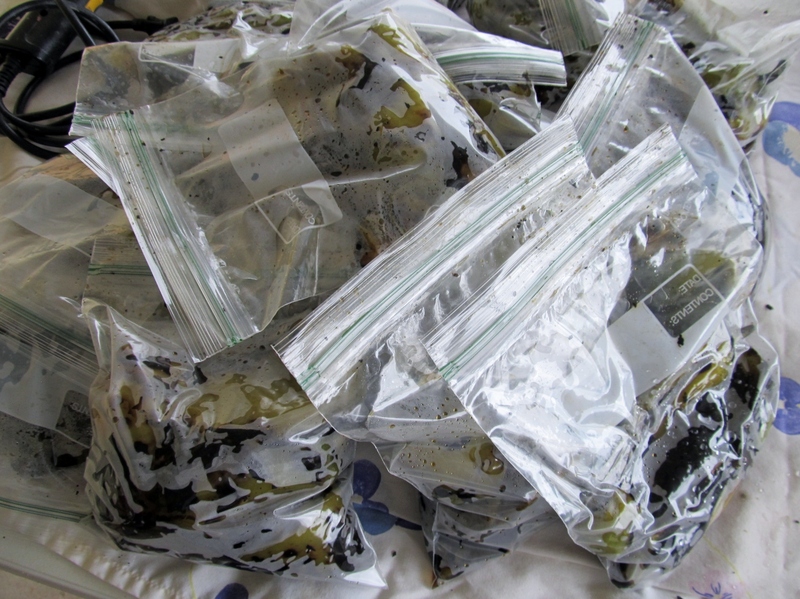 I worked on preserving garden tomatoes (canned and roasted/frozen – we’ll talk about that later) and the Hubs roasted and packed 25 pounds of Hatch green chiles. 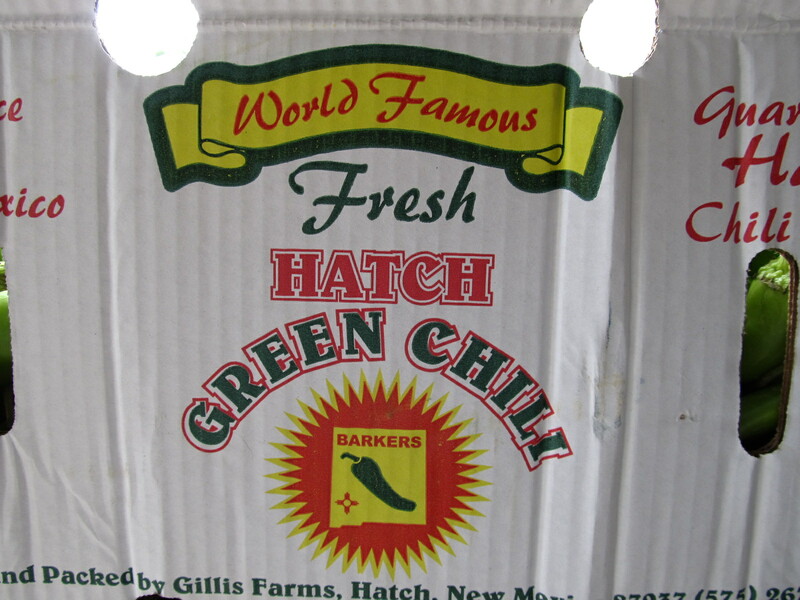 If you are not familiar with Hatch green chiles, you have not been living life! 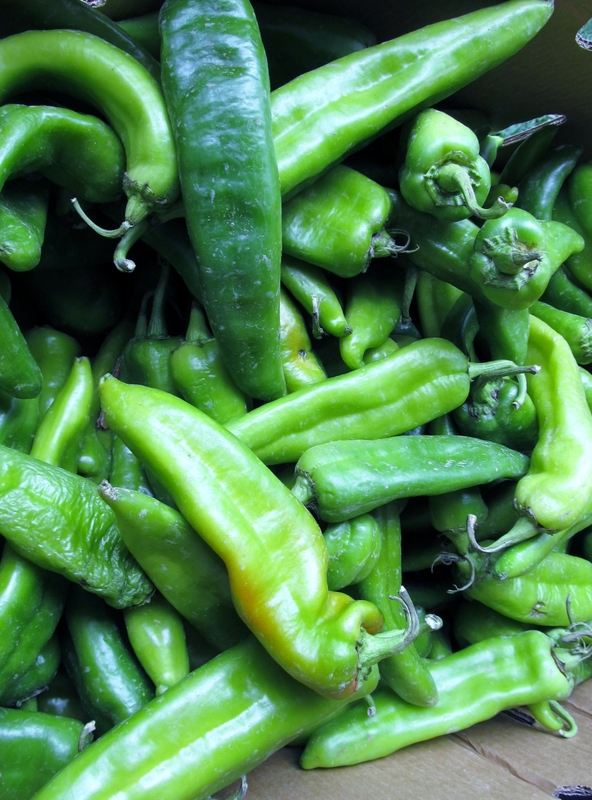 Those of us who live in the Southwest rely on Hatch green chiles to feed our spicy appetites. 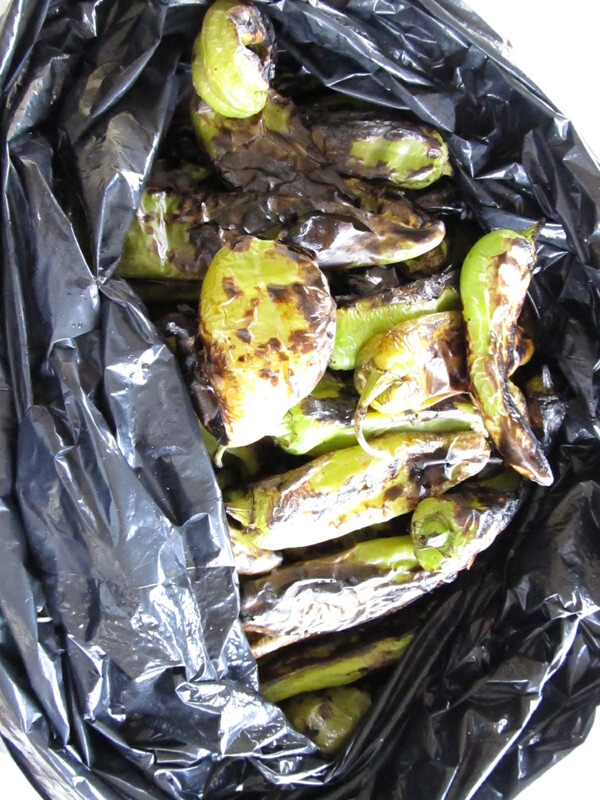 They are grown in Hatch, New Mexico and they are considered to be the primer chiles in all of North America. You may be more familiar with an Anaheim chile, which is a cousin to the class Hatch chile. They come in various heat levels, but the medium provides a nice bit of heat that is not going to light your tonsils on fire. Every year around Labor Day, the local big box store offers Hatch chiles by the case. You can even have them roasted outside the store so you can take them home pre-roasted and then just clean and freeze – or even just freeze and clean later. At our house, we have purchased the big box chiles several times and had them roasted for easy preservation. Anytime the Hubs wants to make his famous green chile (stew), he can take out a baggie, peel and seed and be ready to go. But this year, Bountiful Baskets offered 25 pounds for only $18.00, which was less expensive than the big box’s basic price. With my new “scratch cooking” attitude, I thought it would be prudent to buy the less expensive chiles and roast them at home. And by roast them at home, I mean that the Hubs could roast them out on the grill. He grew up watching his dad do the same, so I knew he could figure it out. He agreed and our box arrived Saturday. 25 pounds looks bigger than it sounds. 25 lbs is…well, a lot! Because chiles have a tougher outer skin than another type of pepper, like a bell pepper, it is better to remove it before cooking. That’s where the roasting comes in. Roasting blisters the outer skin, making it easier to remove. You can roast them in the oven under the broiler, or out on the grill. Given that it’s still warm in most of the country, the grill is probably the better way to go – and you can probably do more at a time on the grill. The Hubs happily set up his ‘shop’ out in the carport by pre-heating the grill and setting up a card table to use as his workspace. Once the grill was heated to low-medium heat, he loaded up both levels with chiles. Roast the chiles on a low-medium fire, turning as they blacken. See the black parts? That’s good! Keep turning the chiles, blackening them on all sides. While you don’t want to become charcoal briquettes, you do want them to be charred all over. Once they are finished, remove from the grill and place in a bowl covered with plastic wrap. Since we were doing a huge quantity, the Hubs used a big garbage bag. Placing them in the bag or covered bowl allows them to steam, which helps the skin separate from the chile, making removal easier. Placing the roasted chiles in a big bag or plastic-covered bowl allows the chiles to steam for easier peeling. We ended up with 19 little bags of roasted chiles. I took out probably about two bags to peel and seed. Once clean and dry, you can go ahead and cook with them immediately or throw them in the fridge for tomorrow, or freeze for later use. I knew that I would be more likely to use them if they were diced and ready to go – like those little cans from the store. 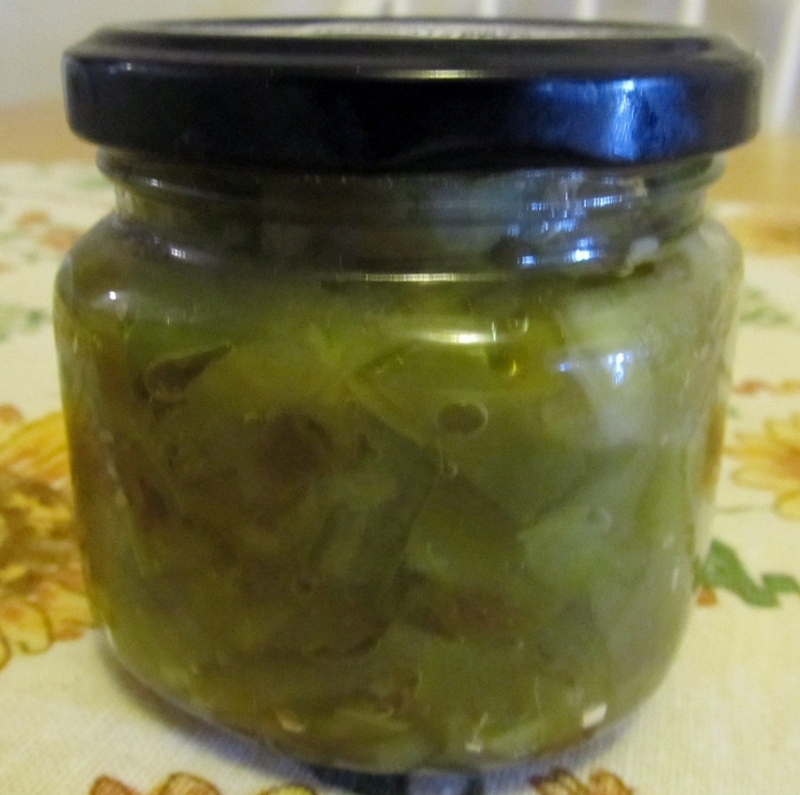 So, I diced them up and packed them tightly into some small glass jars (I think they were marinated artichoke jars). Remember, if you’re freezing, you can use up-cycled jars and lids, but if you’re actually canning, you must use mason jars with new lids. To avoid freezer burn and to allow me scrape spoonfuls of green chile out whenever I need some for a recipe, I mixed in a few teaspoons of olive oil. I packed them really tightly to prevent air bubbles, also. Now I have three little jars of ready-to-go diced chiles in the freezer. Pack diced chiles with olive oil so you can scrape out spoonfuls as needed. Very tightly pack the chiles to express air bubbles and prevent freezer burn. I probably should have taken the time to clean up more of the chiles before freezing, but with the tomato preservation going on simultaneously, I was not up to it. That said, if you do a big batch like this and do take the time to clean more, I would recommend doing a combo of dicing and leaving some whole and then maybe slicing some into strips. That way you would have a variety of options you could pull out of the freezer for later. What would you do with all of those options? 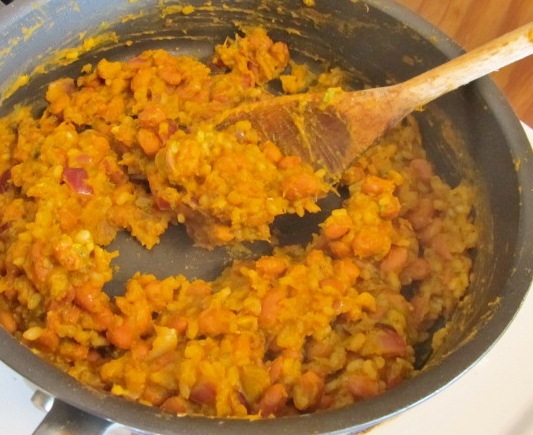 Well, here in the SW, we would argue that you could add green chile to almost anything you cook, but you may not be quite so inclined. 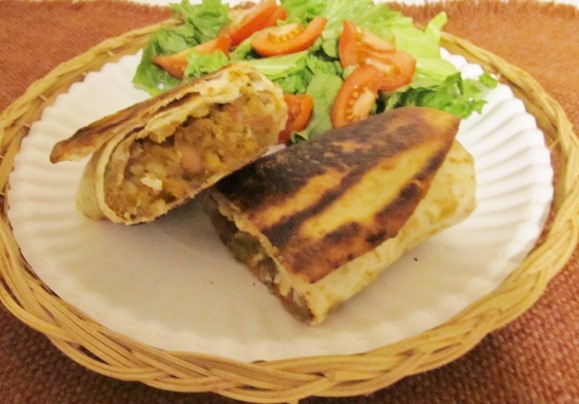 Obviously, you can put green chile into anything Mexican: tacos, burritos, enchiladas, guacamole, salsa, pico de gallo, etc. Chile relleno is a classic green chile recipe (the Hubs and I are working on remembering how his mama used to make the non-deep fried, old-school version). 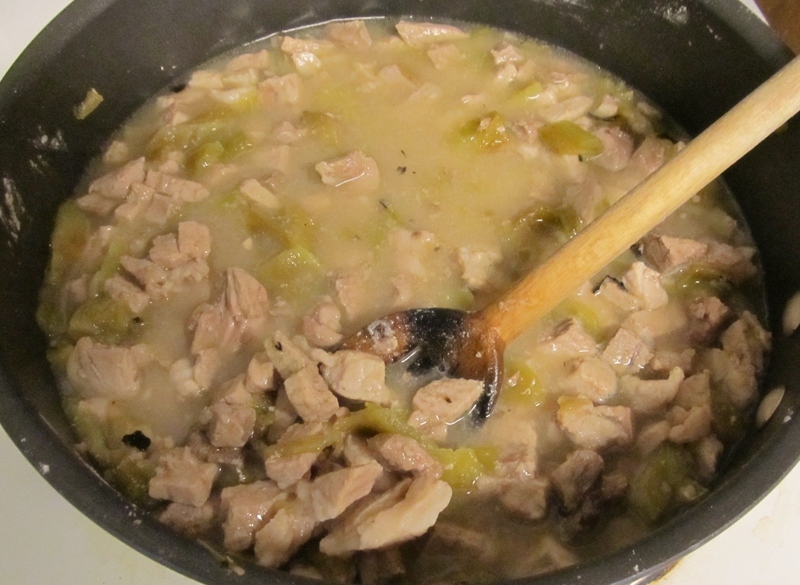 I also use green chile to add flavor and a little heat to classic bean chili, and various soups, chowders and stews. You can also wake up boring burgers and other sandwiches with strips of green chiles – I ADORE an occasional classic egg sandwich with green chiles. Basically, like a bell pepper or even an onion, you can throw green chile into anything you want to add a little flavor to. 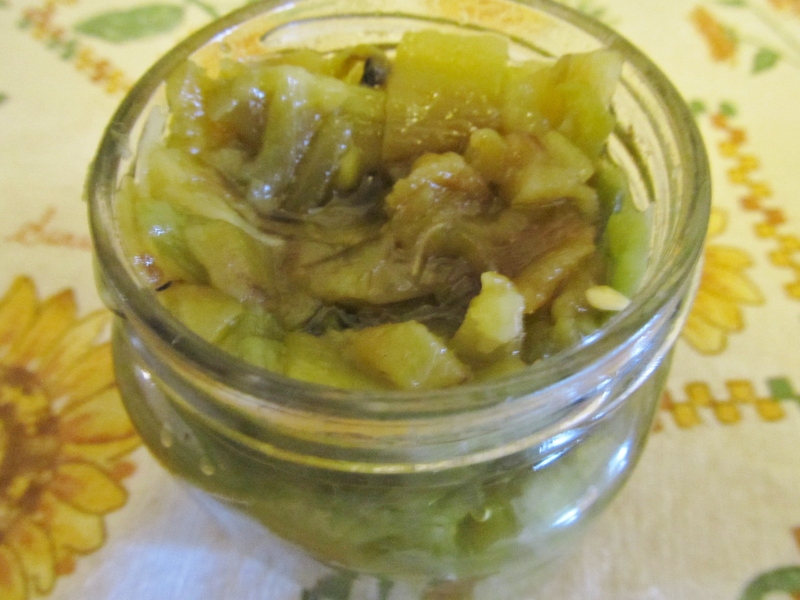 There are many websites dedicated to green chile recipes; I pinned some ideas onto my “Green Chile” board on Pinterest. 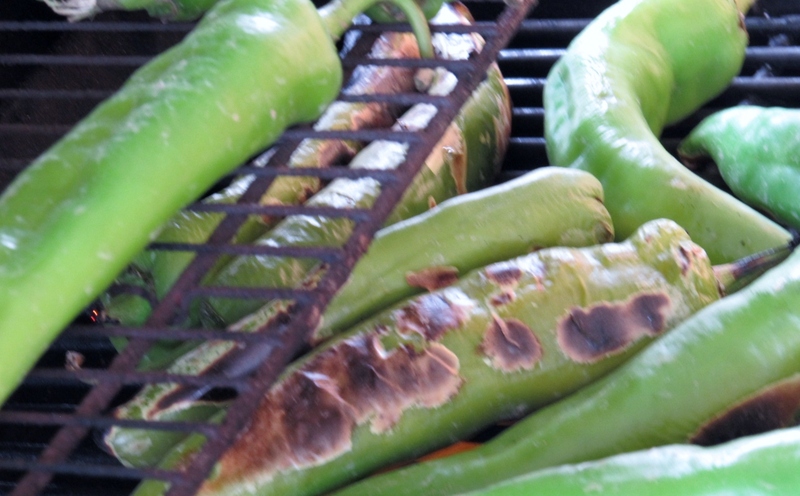 Also, check out Cooking Ripe’s Facebook page for more green chile tips and tricks. 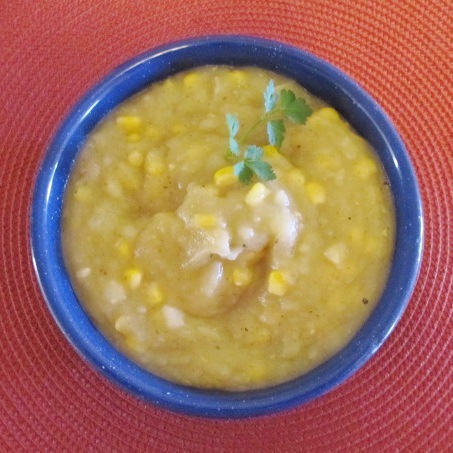 Check out my Southwestern Green Chile & Potato Corn Chowder recipe. 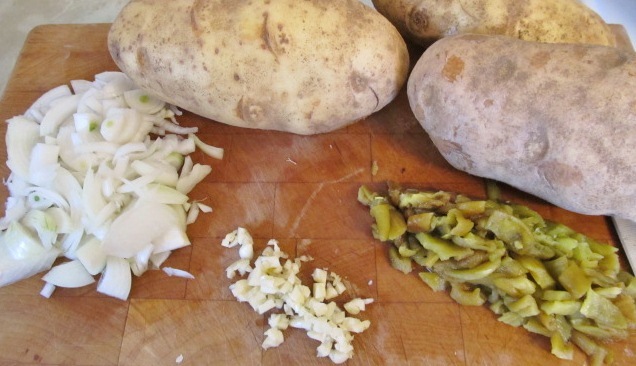 Please reply below to share your favorite green chile recipes. 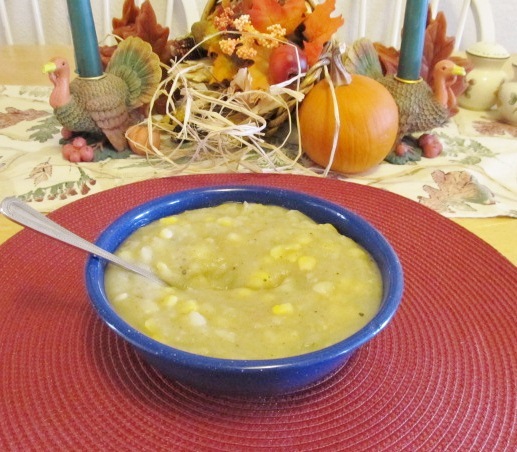 Categories: Cooking, Dinner, Sides, Veggies | Tags: Bountiful Baskets, Cooking, easy, food, freezing, Fresh, Hatch green chiles, hatch new mexico, healthy, Mexican, peppers, preserving, recipes, roasting, simple, spicy, vacation | Permalink.